She's Fantastic: DC SuperHero Girls - HAWKGIRL! 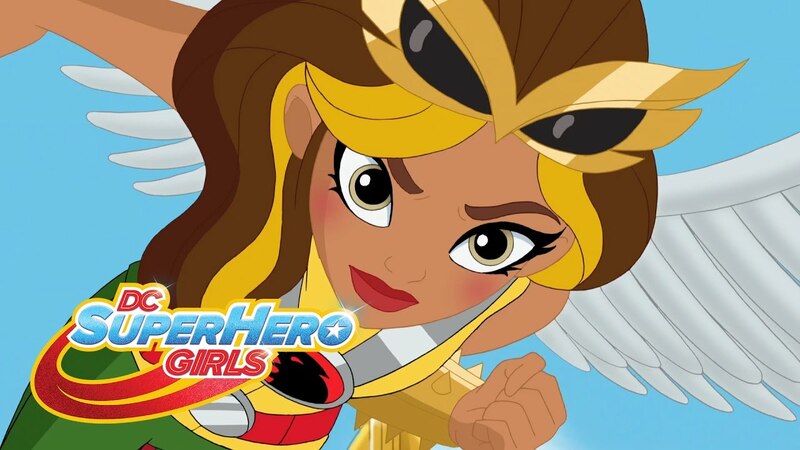 DC SuperHero Girls - HAWKGIRL! 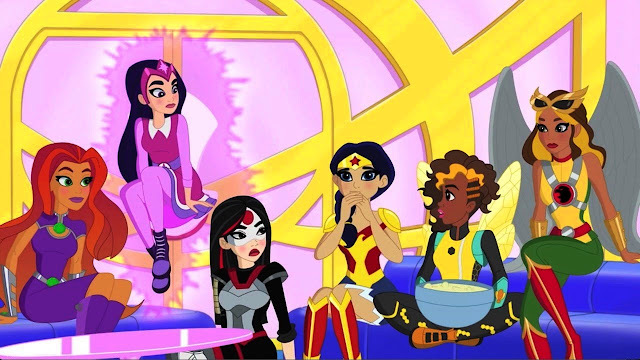 I feel like we've been waiting forever to get some new DC Super Hero Girls action figures. But in reality, it has only been 18 months since the first figures hit the shelves back in the Spring of 2016 and we've seen a steady release of new product since then (albeit very few new characters in that mix). Katana was the last new female character introduced and that was almost a year ago. 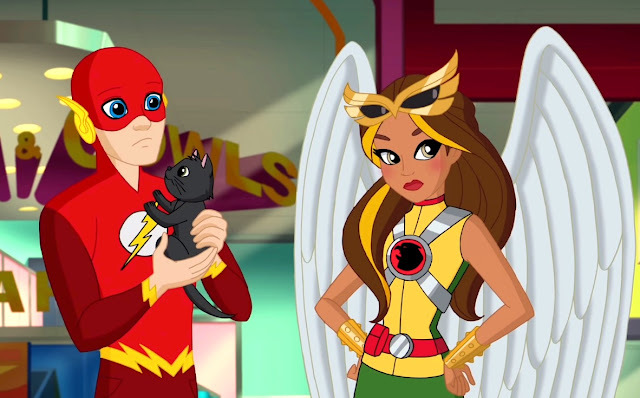 But now two of the most colorful and exciting characters (in my humble opinion) are released at once (Hawkgirl and Starfire) with a great-looking Cheetah on the horizon. Suddenly my excitement in the line is renewed and I'm already formulating my wishlist; Star Sapphire, Killer Frost, Miss Martian, Black Orchid, etc etc. I'm always a dreamer. This Hawkgirl figure is just stunning. I always thought her color blocking made her look like a would-be member of the original Teen Titans, and this figure illustrates that perfectly. Now you just have the challenge of actually finding her (she seems extremely scarce). Let's check out Hawkgirl below! This figure is gorgeous, but I must say that this standard buck needs some work. The knees have sloppy joints that never lock straight. One leg is slightly longer than the other, and she basically can't stand on her own at all. The overall aesthetics and low price point allow for a lot of leeway though. Hawkgirl's wings come detached in the packaging. They anchor into peg holes in her shoulderblades. Here she is with the new Starfire action figure. So where did you actually find her? I've had no luck!